Philip Glass, pictured recently speaking at the Museum of Fine Arts. 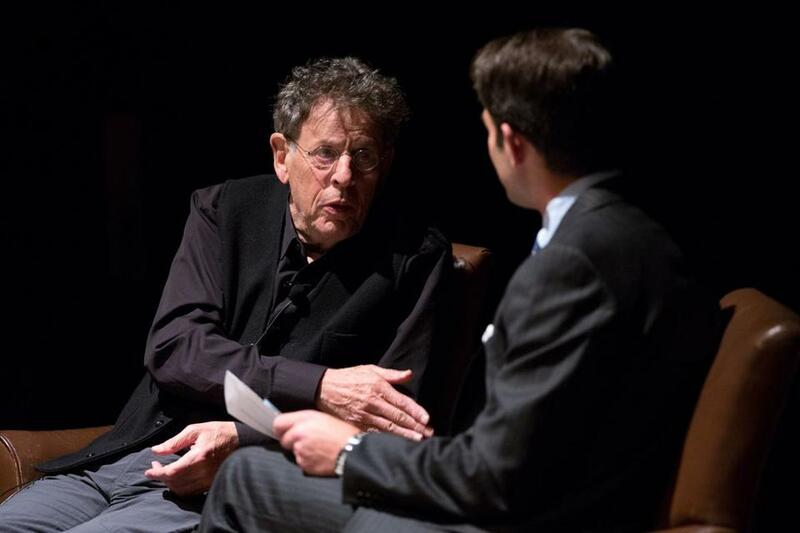 “Here’s a strange thing: Opera is very popular right now,” the composer Philip Glass said, speaking by telephone from Washington, D.C., where his 2007 opera “Appomattox” was being prepared for a new production at the Kennedy Center. But Glass, creator of 26 operas of various shapes and sizes, from the epochal 1976 landmark “Einstein on the Beach” to his 2014 adaptation of Kafka’s “The Trial,” wasn’t talking about audience appeal, not really. 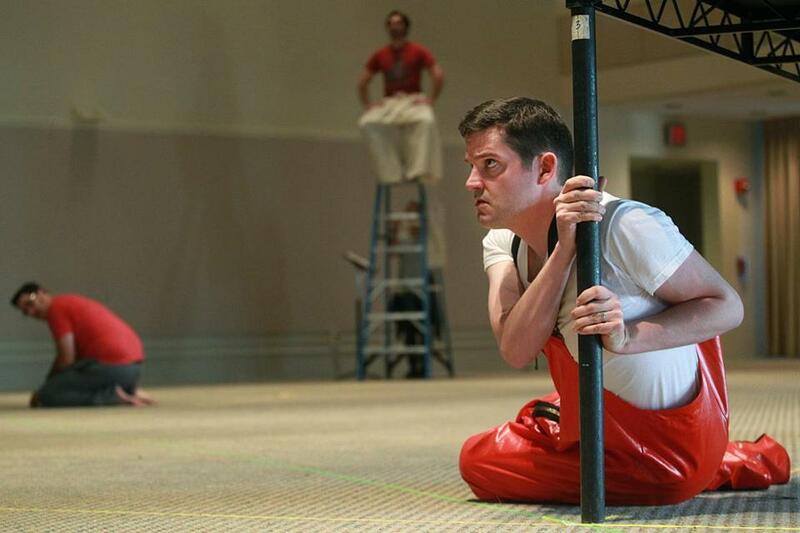 Illustrating Glass’s point, this week his chamber opera “In the Penal Colony” — another Kafka adaptation, composed in 2000 for A Contemporary Theatre in Seattle — is being staged by Boston Lyric Opera. Presented as part of the company’s outlier Opera Annex series, which specializes in mounting little-known modern works in evocative settings, “In the Penal Colony” will be presented at the Cyclorama, a grandiose 19th-century South End edifice. In Rudolph Wurlitzer’s libretto, based on a Kafka story written in 1914 and published in 1919, a prison commander describes to a visitor a system of justice meted out through a torture device, and then resorts to drastic measures when opinion turns against his trusted methods. Partly that’s a matter of the work’s economy and portability, he acknowledged, while also noting that Kafka retains a timeless fascination for many readers. “I came to know that he himself considered his works very funny,” Glass said. “He famously would read these plays or stories to his friends, and they would laugh.” Accordingly, last year Glass had Music Theatre Wales, which previously had staged and recorded “In the Penal Colony,” approach “The Trial” as black comedy. Glass’s compact ensemble — two singers (here, tenor Neal Ferreira and baritone David McFerrin), a dancer (Yury Yanowsky), a conductor (Ryan Turner), and a string quintet — suits the story’s oppressive intimacy. Several reviewers have heard in Glass’s signature repetitive figurations a representation of stasis and entrapment. But Esther Nelson, BLO’s general and artistic director, related a different epiphany she’d had recently about the music. Perhaps paradoxically, given its vast size, the Cyclorama has proved an inspiring setting for the director R.B. Schlather, a dynamic young artist best known for his site-specific stagings of Handel operas in a downtown New York City art gallery. Having joined BLO’s Emerging Artist roster during the 2014-15 season, Schlather assisted director David Schweizer in the company’s rapturous Opera Annex staging of Frank Martin’s “The Love Potion.” For “Penal Colony,” Schlather recalled Glass’s own early performance experiences in downtown New York galleries, and drew inspiration from the composer’s visual-art peers. “I was thinking about Glass’s Minimalist contemporaries, people like Richard Serra and Dan Flavin, and about how their work is not just about the material object, but about how your experience of the space changes when you encounter that material in the space,” Schlather said. For the singers, he explained, he encouraged large gestures that would carry across a distance.